We will arrive in Rome the morning after we depart the U.S. where we will transfer by private motor coach to our hotel and then attend a private Mass celebrated by Fr. Chad and Fr. Chris at the Basilica of St. Mary Major. Over the next six days while we are in Rome, we will attend the Diaconate Ordination of the North American Pontifical College seminarians at St. Peter's Basilica as guests of Phoenix seminarians, Gabe Terrell, Nathaniel Glenn and Marvin Soto. We will attend a reception at the college immediately following the ordination. The following day we will have an opportunity to attend their Mass of Thanksgiving as newly ordained Deacons. During our stay in Rome, Fr. Chad and Fr. Chris will celebrate a private Mass followed by a tour at each of the four major Basilicas (St. Peter's, St. John Lateran, St. Paul Outside the Wall and St. Mary Major). 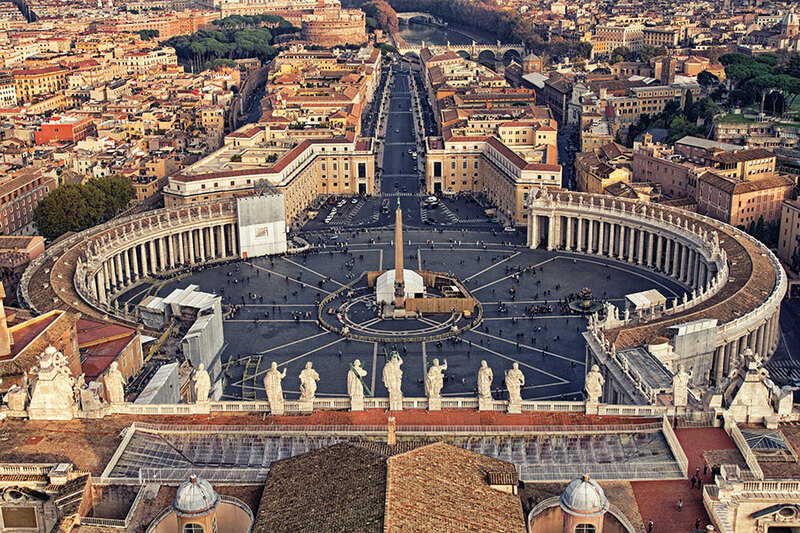 Besides tours of the four Basilicas, we will also visit the Vatican Museum and Sistine Chapel, as well as participate in a private Scavi tour (the excavation site beneath St. Peter's where St. Peter's remains were discovered in recent years). 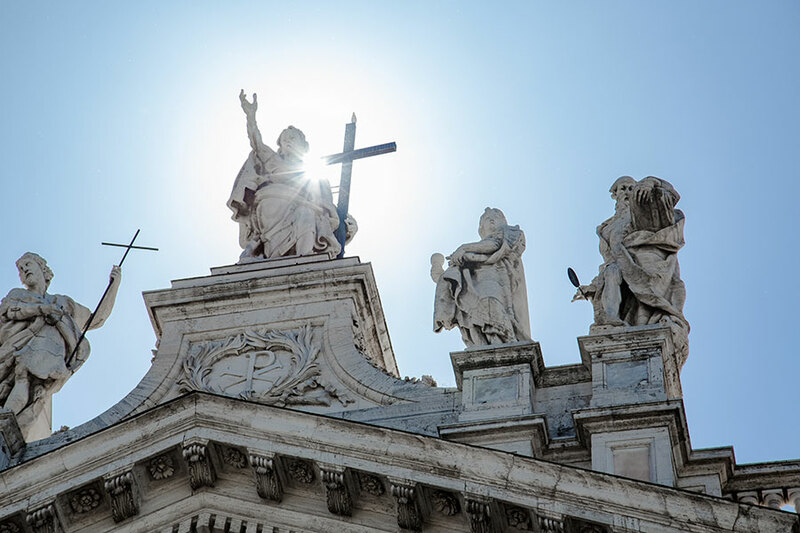 We will also have an opportunity to climb the Holy Stairs across from St. John Lateran and visit Santa Croce (the Church of the True Cross) to see the relics of the Passion brought to Rome by St. Helen. We will also tour the St. Callixtus Catacombs and visit the church of Domine Quo Vadis along the Appian Way. 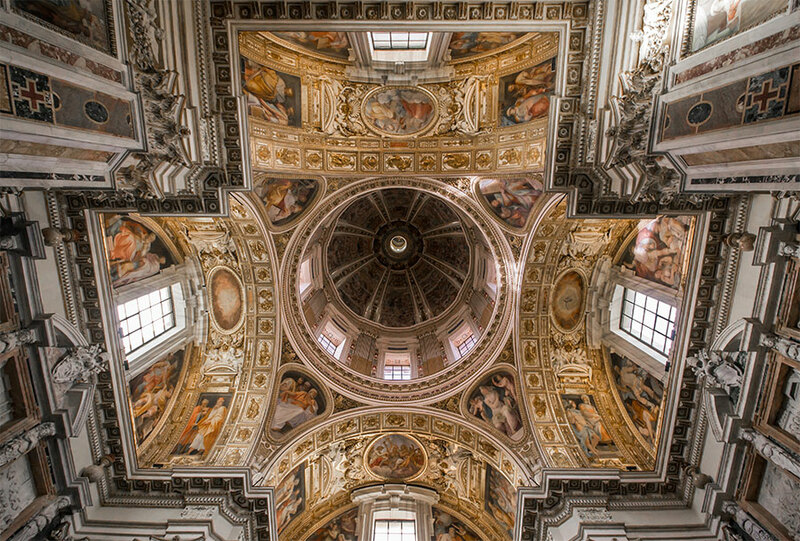 You will also have free time to visit sites of your choice such as the Colosseum, the Forum, Trevi Fountain, the Spanish Steps, Piazza Navona, as well as, any of the other 700+ churches in Rome such as Santa Maria Sopra Minerva (St. Catherine of Sienna), St. Augustine (St. Monica's remains) or the Church of Gesu. Or you may choose to spend your free time grabbing a gelato and relaxing in one of the many piazzas to soak up the atmosphere in the Eternal City. Breakfast will be provided each morning at our hotel. You will have an opportunity to grab a quick lunch from one of the many sidewalk cafes each day… and you are free to enjoy your favorite Italian restaurant each evening. You might discover that the people are so friendly and the food so enjoyable… that you will have a difficult time deciding which is your favorite. During our stay in Rome, we will also take a day trip to Assisi where Fr. Chris and Fr. 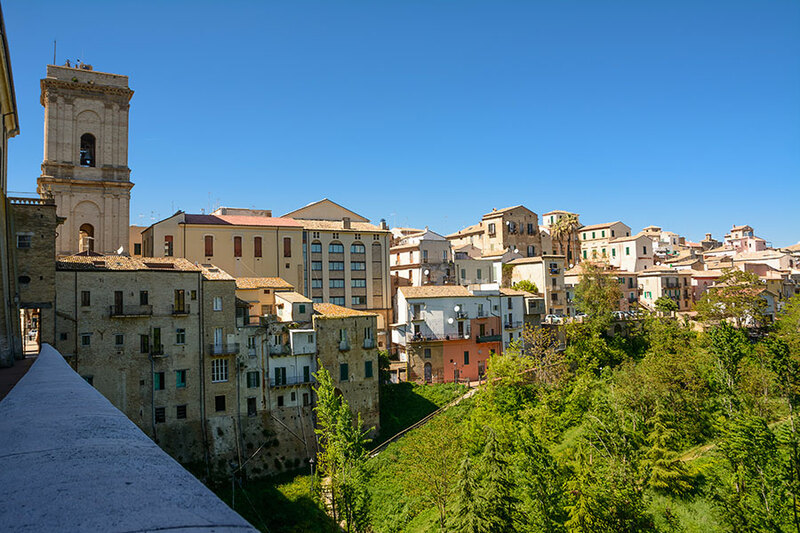 Chad will celebrate a private Mass at the Basilica of St. Francis and we will visit the tomb of St. Francis and participate in a guided tour of the Basilica… then you can spend the remainder of the day enjoying the timeless beauty of Assisi, including a visit to the tomb of St. Clare and the San Damiano cross. 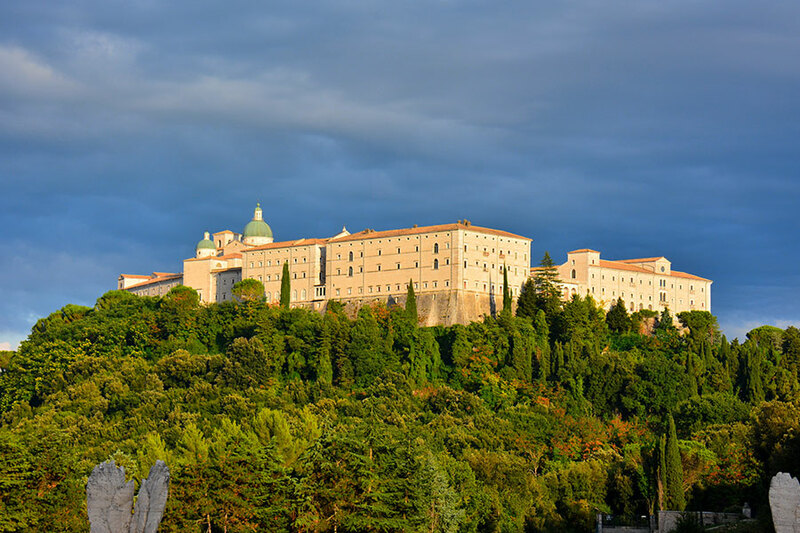 This morning we depart early for Monte Cassino Abbey where St. Benedict lived and founded the Benedictines. We will celebrate a private Mass here and then bless St. Benedict medals for each of us at the tombs of St. Benedict and his twin sister, St. Scholastica. We will continue to Mugnano, Italy to visit the Shrine of St. Philomena, stopping for lunch along the way. We will then depart for San Giovanni Rotundo for dinner and overnight at our hotel. After breakfast we will depart for the Cave of St. Michael the Archangel. This is the only Catholic church in the world that has not been consecrated by a Bishop because it was consecrated by St. Michael the Archangel who has appeared here on more than one occasion over the centuries. Padre Pio asked pilgrims to pray at this cave before coming to him for confession. We will visit the cave and you will have some free time to shop and have lunch. 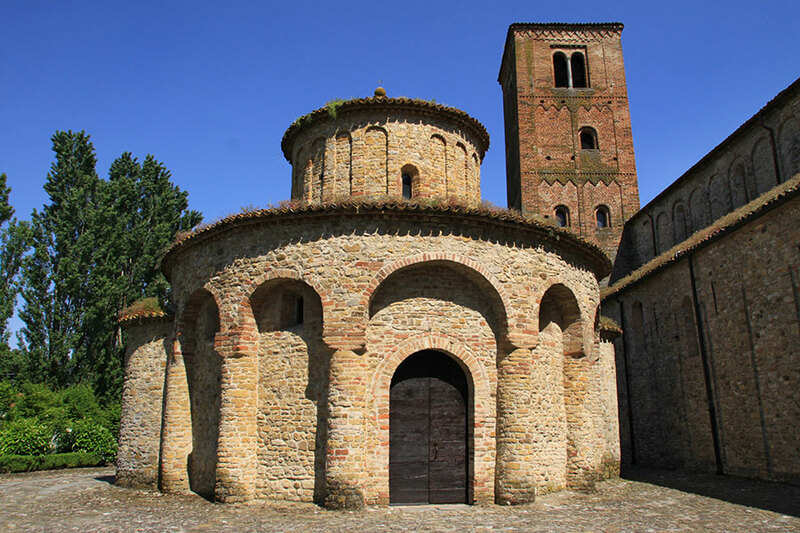 We will return to San Giovanni Rotundo where you will have some free time before Fr. Chad and Fr. Chris celebrate Holy Mass at the very altar that Padre Pio celebrated his last Mass. After Mass we will have a guided tour of the Basilica, the cell where Padre Pio lived and died and the Shrine where we can view the incorrupt body of Padre Pio and pray for his intercession in our lives. After the tour we will visit the English Office, where we will see a short film about Padre Pio and Fr. Chris and Fr. Chad will have an opportunity to bless each of us with Padre Pio's glove and his crucifix. Dinner at our hotel and overnight in San Giovanni Rotundo. After breakfast, we will depart for Lanciano to visit the site of the Eucharistic Miracle. We will view a short film about the Eucharistic Miracle and Fr. Chad and Fr. Chris will celebrate a private Holy Mass at the Chapel of the miracle where we will have the opportunity to view and pray before the bread and wine that changed to the flesh and blood of our Savior. We will have lunch on our own before we depart for Rome. After we check in to our hotel, you may enjoy your last night in Rome. Dinner on your own. Day 12: Rome - U.S.
We depart early in the morning for our flight home.